After years of anticipation, it is now possible in 2017 to say that digital textile printing has achieved breakthrough success in soft signage and production apparel printing. Rob Fletcher speaks with companies active in this sector to find out more about the opportunities on offer. As you may well know, FESPA stages events all around the world. From Africa to Asia, and from Europe to the Americas; FESPA events are designed to cater for print markets worldwide and showcase solutions that can help print companies in these regions move their business to the next level. While the focus may differ at teach event, depending on where it is located, one major theme that seems to have remained present at all FESPA shows in recent years is digital textile print. Visitors want to learn more about this market and find out how they can take advantage of the plentiful work that is seemingly on offer. FESPA Mexico 2017, which runs from November 16-18 in Mexico City, will be no different and is set to feature some of the leading brands in digital textile print technology. Visitors will be able to get up close and personal with the latest kit available to the market, as well as speak with experts about how they should go about winning valuable print contracts. We have reached out to some of those companies that will feature at this month's event to offer an insight into what visitors can expect in Mexico City. One of the leading brands not only in this sector but in the wider, global printing market is HP. Rut Quindós, marketing manager for the HP Large-Format Mexico division, believes there is plenty to be gained from a move into textile print. “Digital textile printing seems to be the next big thing in printing,” Quindós said. “The textile industry is one of the world’s largest industries and the textile market has been evolving, with the market for the digital printing of textiles growing rapidly. Although demand for these types of applications is one challenge, being able to produce print to the quality that customers require is another matter altogether for print companies. Quindós said that print companies must have the right kit in place in order to create high quality work, and HP is able to help with its Latex technology. Visitors to FESPA Mexico can drop by the HP stand to learn more about this kit and other options available from the manufacturer. “The demand for textiles in signage is growing and HP Latex technology presents a practical solution for leveraging textile signage opportunities, in particular,” Quindós said. “Textiles provide soft touch finishes, great colour pops, and are considered to be more premium than vinyl or paper. Due to this fact, the end customer perceives a higher value. “Textiles are lighter and wrinkle-free; and easier to transport, mount and store; making the whole process cheaper due to the fact that the shipment and the storage costs drop. “The environmental regulations are changing and impacting PVC-based substrates and traditional textiles. Media vendors are moving toward non-PVC based materials and the traditional market is moving toward digital printing. Another company well placed to offer advice to those considering a move into this market is Mutoh, which specialises in providing digital print solutions to the textile market. Franklin Fuentes, Latin America sales manager, says digital textile print is “growing worldwide” and picks out certain areas where he sees room for further expansion. Fuentes said: “There is a rapidly growing pigment market for virtually every sector of textile volume from quarter yard ‘samples’ to very high speed long yardage production. Dye sublimation continues to grow in all its aspects, driven in part by new polyester fabrics, which have more of a natural feel to them. Also, reactive ink solutions are growing for those looking for a pigment alternative. And with this, Fuentes goes on to pick out some of the key areas where we can expect further development and how print companies can capitalise on this to capture wok and grow their business as a result. In terms of how Mutoh can help print companies capture this work, Fuentes said the manufacturer has a variety of printers for the textile market, and visitors to FESPA Mexico this month can find out more about these machines at the event. Fuentes said: “We have a wide range of dye sub printers from 25” to 104”, including our high speed four-head dye sub printer the 1948WX." Aside from hardware, visitors will be able to learn about the software products that can help them gain an advantage in this market. Caldera will be on hand to talk attendees through its software solutions for digital inkjet printing, with its main product being RIP software that allows users to drive an unlimited number of print and cut devices within one interface. Sebastien Hanssens, vice-president of marketing at Caldera, said: “Textile print has been a popular trend in the digital printing sector these past years. On the one hand, more and more printers from the visual communication and the graphic arts sectors have been turning towards the use of fabrics because it is an ecological, light, resistant and very flexible material, easy to install, very practical for billboards for example. 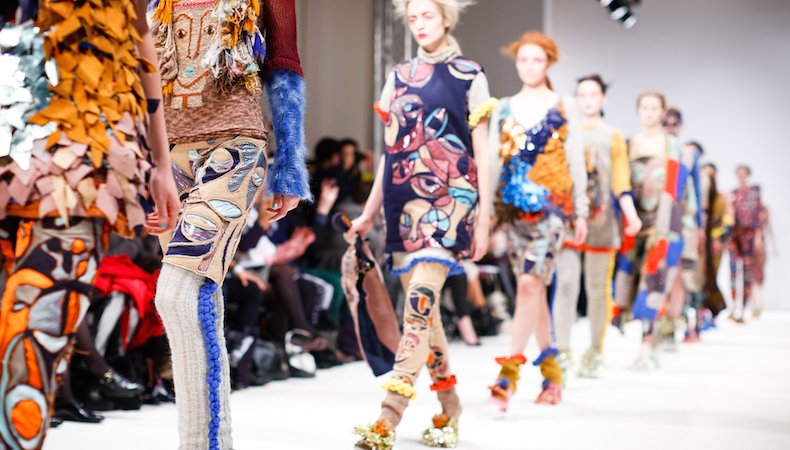 In regards to more of a focus on digital in the textile print sector, Hanssens said this is due to more of a demand for short run and customised work, adding that brands are now able to launch smaller collections during the year because of the production specifics of digital printing. Focusing on how Caldera can assist, Hanssens said: “The market is looking for solutions to improve production efficiency and job tracking. Caldera offers such solutions with our new StreamLive software which helps printing companies digitalise their workflow. From just this small selection of companies, it is clear to see not only the level of activity in the digital textile print market, but also the amount of enthusiasm for this growth. With the backing of some of the biggest names in print, we are only likely to see this sector of the industry continue to expand as more companies join the revolution and go digital. To learn more about the opportunities in digital textile print and to see some of the latest technology in action, visit FESPA Mexico this month. Taking place from November 16-18 in Mexico City, the event will play host to the biggest and best in the print industry, showcasing innovation and developments from all around the world. You can use code MEXH718 when registering for free entry.